Coverage on YouTube of all the stages in their entirety. Just one problem. Taiwan is GMT +8. 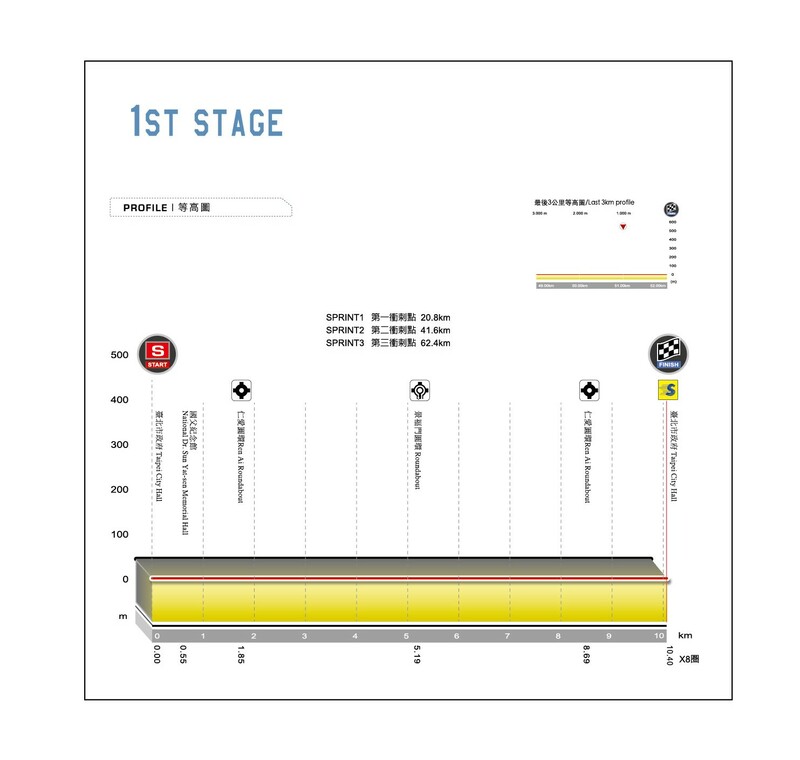 However the finishes of all stages except the crit might just be catchable if you are an early bird (we're talking 4:30am GMT for stage 2 as the earliest example, through to 6am for stage 5). Watching a replay is an option too. 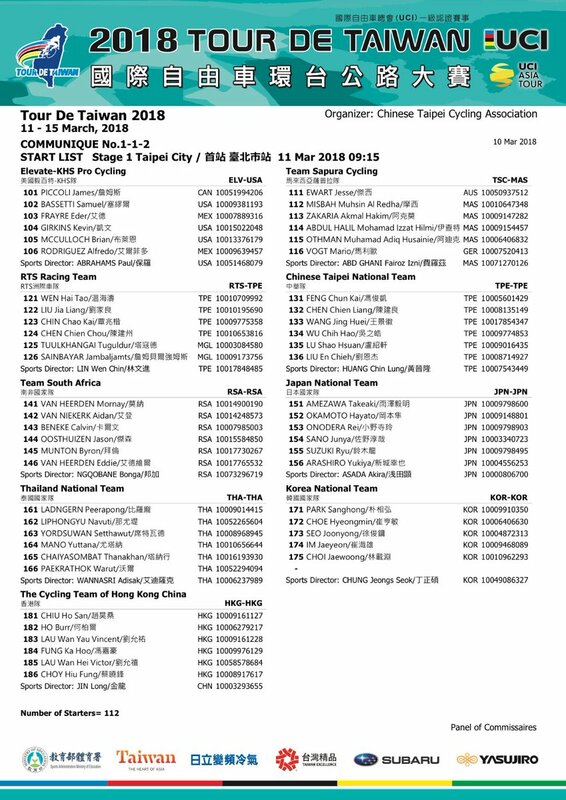 Three and a half of the stages are copies of what they raced last year. What happened then (last year's stage number in brackets)? 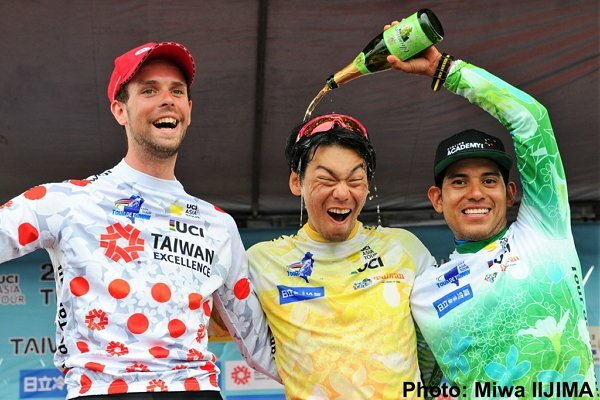 Stage 1(1): An unsurprising bunch sprint won by Avila. 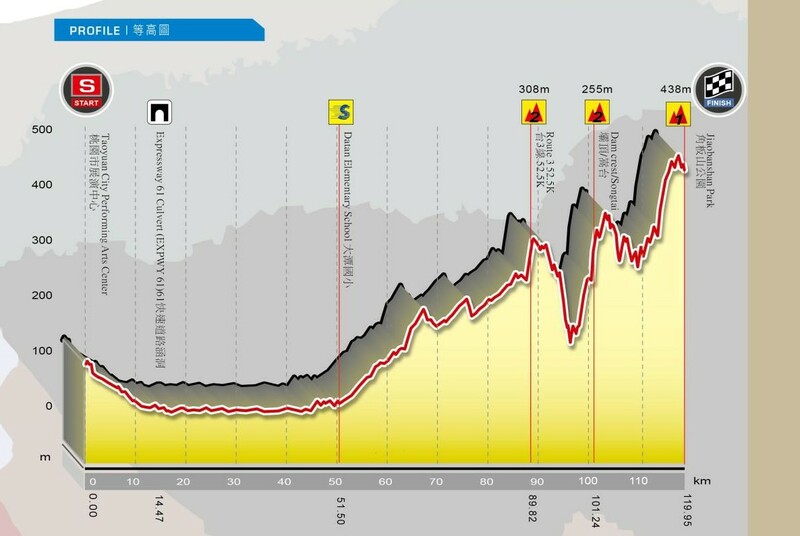 Stage 2(3): Although finishing on a short fast downhill, this was classified as a MTF, so when Mirsamad caused a crash in one of the last corners, time gaps were given. In reality it should have been group finish of ~25 guys. Summerhill won (before he went all John Rambo), but note Brenton Jones in third to get a gauge of how tough the stage actually is. 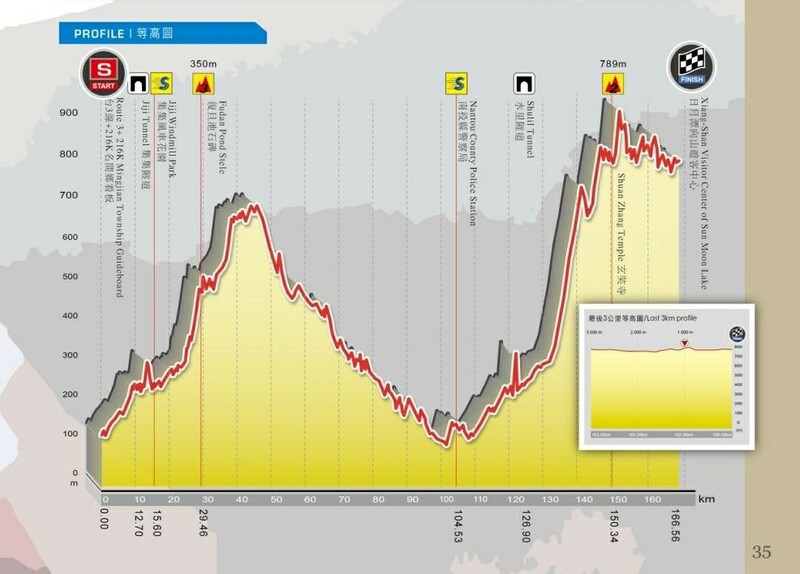 Stage 4(4): Should be the main GC day. Avila won again from a much reduced group, but there were plenty of riders within a minute. 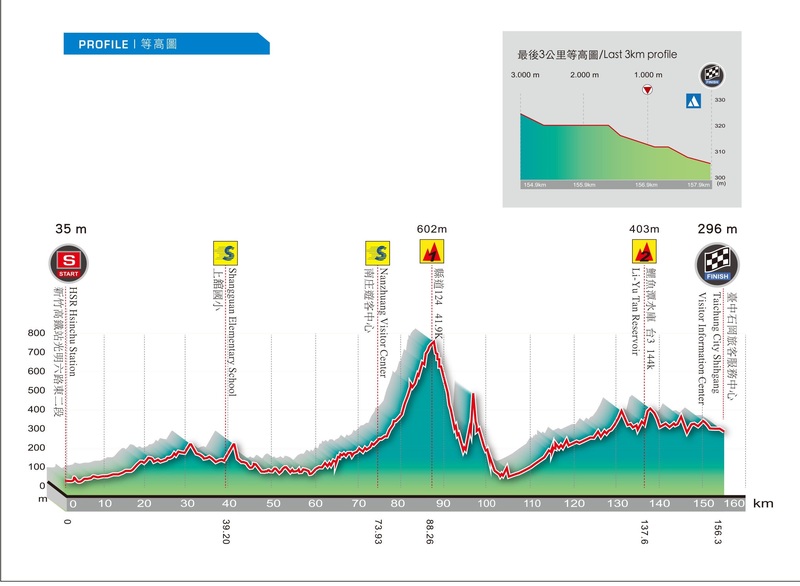 Stage 5(5): Same finish as last year's stage with a different start. Jones winning the bunch sprint ahead of Avila. Since the Tour de Filipinas was postponed, this races marks the debut of Memil. As you can tell from the date of the tweet they will have been over in the country a fair while when the race comes round. Van Niekerk and Eddie Van Heerden are the guys with early season form. Too easy for Piccoli and too tough for Rodriguez in all likelihood. It's not that often that Arashiro gets to ride for himself. He could be a challenger here along with Suzuki. They also have a couple of good youngsters in Amezawa and Okamoto. No Acevedo after all. On paper this should be a really good course for Daniel J, but he'll probably find a way to mess it up. Stream for stage one. You'll be able to watch it as a replay afterwards as well, but don't scroll down too far below this post or you might see the result. There were a few trains forming at the end, but it was Japan who bossed it. Hitting the front with 1.2km to go. A small crash in the penultimate corner took out Haedo, but it made no difference to the result. I quite like the two commentators. I don't understand a word they're saying, but like Javier Perez Andres or Francesco Pancani they add to the melange of the race and it sounds like they're having fun. 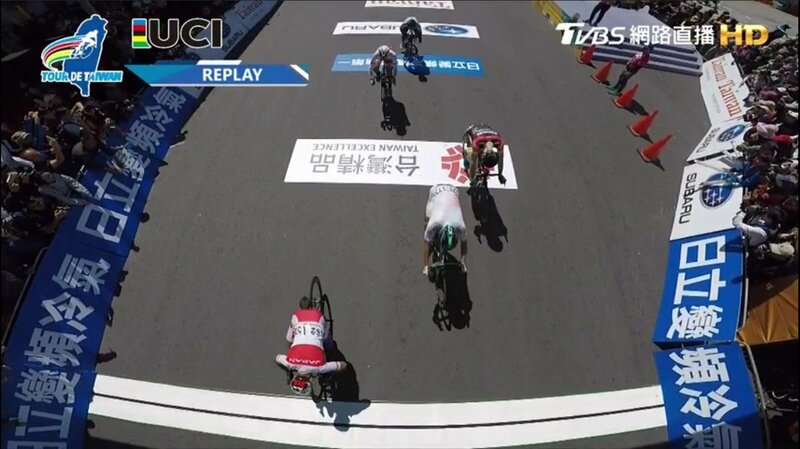 So at ~18km to go the UCI officials decided to stop the break. Bit strange I thought. The peloton must have been 2-3 minutes or more behind. 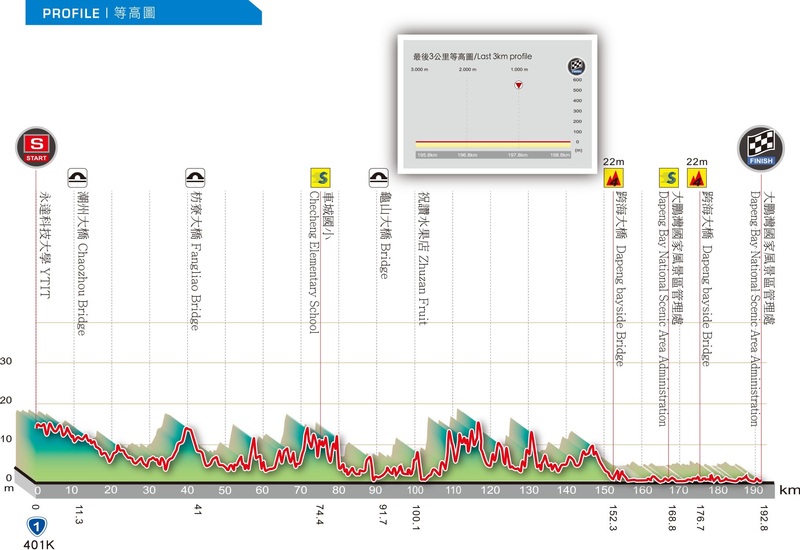 They stopped the peloton just behind the break and then let the break go, but this time with only a minutes lead??? Even stranger, and the reason? Did they have to resort to the Duckworth-Lewis method to calculate the new gap? Harper had put in a strong attack with a couple of km to go and by the way he opened up the gap I thought it was his for sure, but Jimmy Janssens, who was very impressive again today, closed him down. You can see Jimmy banging his bike wheel in frustration going over the line. The main climb of the day only thinned out the peloton by a very small amount. A much bigger selection came on the descent followed by the unclassified kicker. It was Avila himself who attacked going over the KoM followed by Janssens again (a PCT outfit needs to have a look at him). 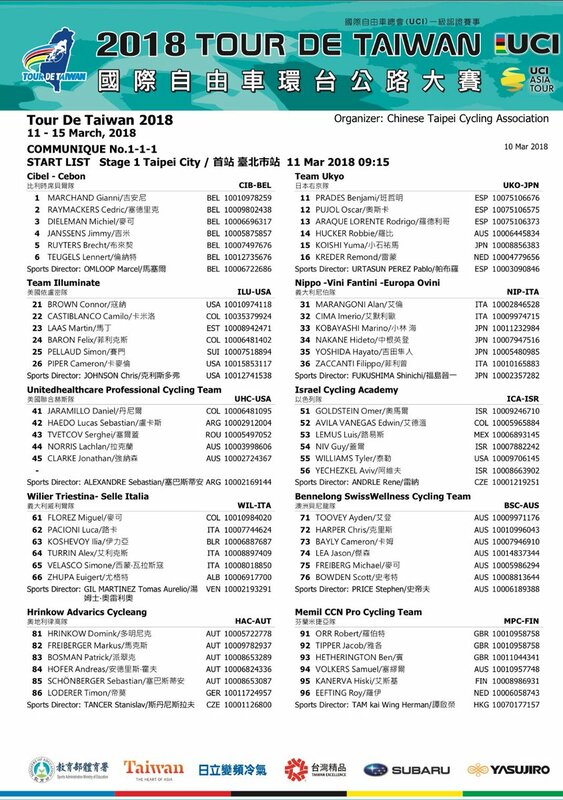 There was a bit of a regroupement (~45 riders) on the following flatter section with some more attacks, but it wasn't until ~37km to go that the final winnowing happened. 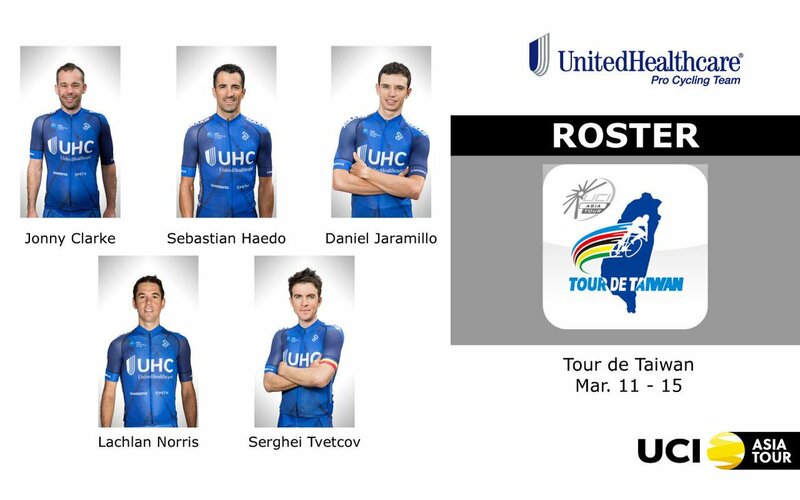 Zaccanti and Avila made the initial move and were then joined by the other 11 riders who contested the sprint finale. It was Arashiro who was bashing his front wheel today. 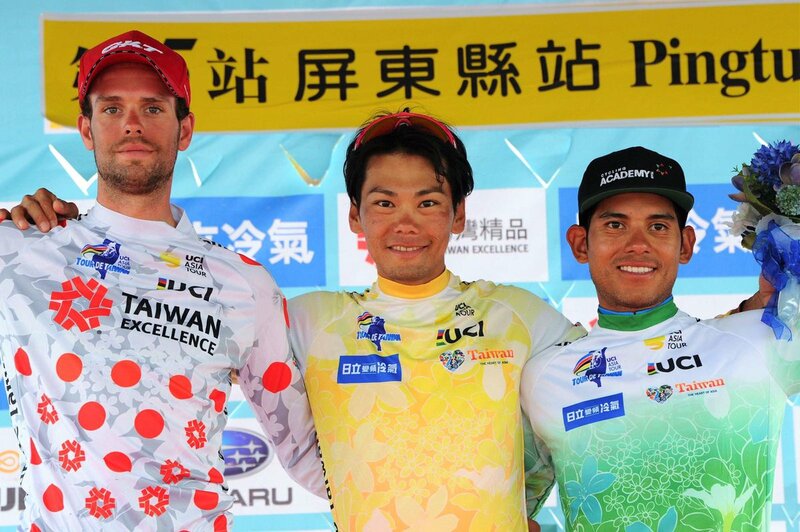 Only three riders from yesterday's successful break made the front group today. Clarke is leading obviously, but Arashiro is quicker and could pick up bonifications while Jimmy looks the strongest on the climbs. Jimmy (and Edwin) gave it a go on the climb and descent, but no luck. Another rider with no luck was Eddie van Heerden who was in a late break with the two who went on to contest for the victory, but did a Voeckler (overcooked it going into a corner) and ended up crashing in somebody's driveway. Arashiro nabbed those bonifications I talked about to move into the lead. Race should be his barring some real bad luck. Final stage stream and I may even be around to watch the end of it.